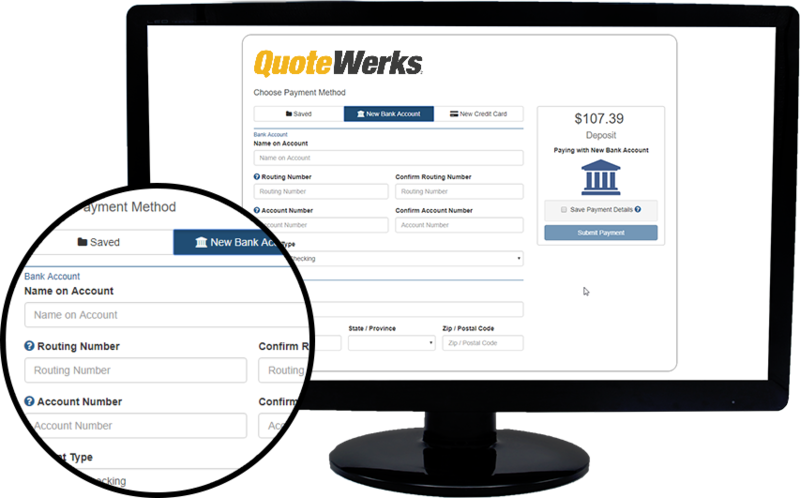 QuoteWerks has partnered with BNG and ConnectBooster to streamline your company's process of receiving payment via QuoteValet. In addition to the supported Gateways, QuoteValet has a more integrated solution with both BNG and ConnectBooster. The integration assures any accepted quote, with a payment, will be pulled into the BNG or ConnectBooster secure payment gateway vault and saved. You can then add that payment record in QuoteWerks when you want to set up an auto agreement. You'll never have to ask a client to submit a payment method or login to your ConnectBooster payment portal, ever again. Learn more about ConnectBooster and QuoteWerks.